This week's Media Create chart results for Japan tell an interesting tale of one enormous hit overshadowing a number of older, struggling titles. Only two games managed to sell unit numbers above five figures, with Nintendo being one beneficiary of the week's one smash hit. Unsurprisingly that hit is Yo-kai Watch 3, which has two versions as is now the norm - Sushi / Tempura. Its launch sales of 632,135 are hugely impressive, though a little context may be causing some concern at Level-5 - the two versions of Yo-kai Watch 2 sold 1,316,707 launch units between them in Summer 2014, nearly double the numbers for the third full entry. Even the Yo-kai Watch 2 spin-off - Shin'uchi - shifted 1,244,171 units at launch in December 2014. The new entries, in other words, are well behind their full-series predecessors, though do compare more favourably with some spin-offs in recent times. The rest of the top 20 reflects low sales numbers, with some evergreen releases on Nintendo hardware occupying decent spots; results are below with lifetime sales in brackets. Moving on to hardware, we have the New 3DS LL (XL) overtaking the PS4 thanks to a Yo-kai Watch 3 boost. The Wii U has fallen away again following the previous boost from a Splatoon bundle, and aside from that figures are relatively stable; the results below have last week's sales in brackets. It was another big Yo-kai Watch launch for Level-5, then, though it may be a little disappointed at the sales when compared to previous entries. In any case, the franchise is still hugely lucrative in Japan. Good sales for Yokai Watch 3 but fair play, you gave the context, saving me the trouble. Also, 630,000+ sales of the game but only an ~7,000 increase in 3DS hardware sales on the previous week. And Wii U is heading back to its usual 3,000-4,000 weekly hardware sales. All they need to do is Yokai GO. Man from what I've gathered online so far (thank god YW is developing a niche following in the west), YW3 looks even bigger and deeper than the 2, which was already big and deep enough. Now if they want the franchise to last, to seriously last like Pokemon, they need to slow down with the main entries and let the west catch up. 3 main series games in 3 years is just nuts, especially when even Busters was such a success. For the sales drop.. I guess that Yokai Watch mania already peaked. Plus the Japanese gaming industry is in much worse shape than it was in 2014. Plus probably a lot of people decided to wait because last time L5 took everyone by surprise announcing Shinuchi and maybe people decided to wait this time around (even if L5 already said that there is no third version and no YW4 in sight and that they want to use 2016/2017 to let the franchise breath, which is a pretty unusual statement from gotta-go-fast-level-5). Anyway, can't wait for YW2 in the west, I just wish they would release a date for Europe already, but I'm afraid we're going to wait a lot, because the US date is too soon and then there's Pokemon Sun and Moon in the fall. They're not going to release YW2 around Sun and Moon. It's probably going to be the beginning of next year ..
P.S. Selling >600k copies in 2 days is struggling now? @BensonUii Yokai GO would make way more sense than Pokemon GO. It's basically the exact same premise as the main franchise, only with smartphone instead of watches. Yeah, it's bad. These figures are off the top of my head, but Level-5 did announce sales figures for every 3DS game in the franchise. 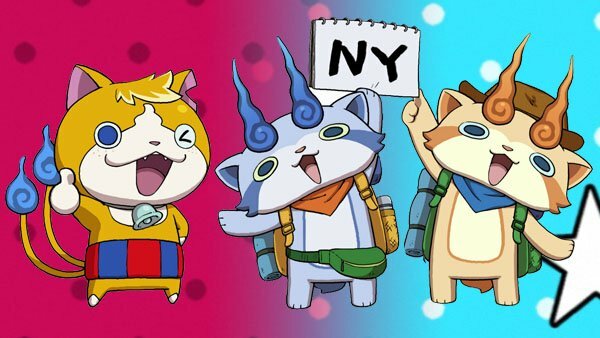 They based their report off Famitsu sales figures, which makes YW3 look even worse: ~581k sales for the first week, with ~40% of inventory sold-through. @Ultimategamer132 That's what happens if one system gets a new game and the other one doesn't. Even the Wii U has outsold the PS4 during some weeks. @TheWPCTraveler It's just two days though. That 1,2 million of YW2 were sold in a week. Not that YW3 is going to double its numbers in a week, but it's still pretty much a great success. There are other circumstances to take into account. YW mania was at its peak in 2014, now is old news. Japanese economy is in much worse shape, especially the gaming industry. I mean, if Level5 though to top the YW2 numbers they're delusional, and I don't think so since 40% of the inventory means they produced a million and something copies so far, which is what YW2 sold in a week. The franchise is still pretty huge, no game as sold nearly as much in 2016 in Japan, but I do think that they need to let it breath. But apparently they think so too, since they've 3 big free updates planned for YW3 but no YW4 in sight. The franchise needs to breath and find its footing worldwide. I'm confident that Level5 has learnt its lesson in milking franchises too quickly. Plus anime and mercha are still going strong. Also maybe launching when everyone is talking about Pokemon wasn't the best idea, not that they could have known that. But given the state of the industry in 2016, I'm pretty confident that Sun and Moon won't sell as much as XY either. The pre orders are already lower than XY's ones (another exciting proof that GO won't matter anything). Also making main line games at the end of a console lifespan isn't exactly the best idea. Well you learn something new everyday. @hepgius Yokai Watch 2 Ganso/Honke released on a Friday, not a Monday, giving its first week three days. As far as I know, Shinuichi debuted on a weekend, but I'll still have to check. Well, it's still disappointing for Level-5. I'll still have to look out for sales figures for the next three weeks, but I'm worried that YW3 won't even sell through the first print run by the time Sun/Moon take the spotlight. By the way, where'd you hear that Sun/Moon pre-orders are lower than X/Y? It's time for Yo Kai Watch evolve, and level-5 must understand that Yo-Kai watch isn't Pokémon nor will ever be. So stop milking, reduce the spin offs and make the fourth entry a single game with graphics and gameplay evolution on NX. Funny how the ps3 greatly outsells the xbone. Those aren't what I would call impressive sales numbers then. The Yokai Watch fad is ending. Still a successful game though, but no, that's not impressive, it's concerning. Level 5 needs to slow down with the Milking when it comes to Yo-Kai Watch. They got the timing almost perfectly for game and merchandise releases up to Busters... now it's going a bit too fast without any breathing room. At least they're trying to avoid going head to head with Pokemon, though. @KH22 By the pre-order chart, do you mean the COMG! one? I've been following that for some time now. I'm really impressed with how Sun/Moon is performing, on track to at least match X/Y even without the finish sprint. I'm also really impressed with how well SQ V is performing. If it gets a normal ratio, it'll beat Puzzle&Dragons X as well as SMT IV Apocalypse and the Story of Seasons game that released recently. It's nice to see Etrian Odyssey get the respect it deserves.